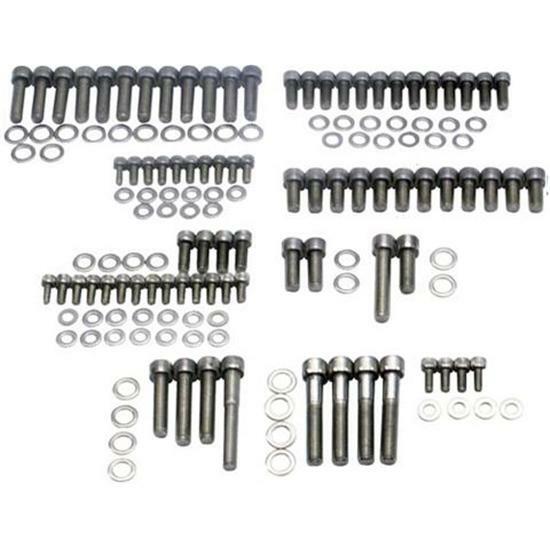 This complete Allen head stainless steel engine fastener kit will resist corrosion caused by extreme under-hood environments, all while dressing up your engine. Fits '55-'86 Small Block Chevy engines. (2) bolts are 1.75" long and threaded the entire length. (6) bolts are 1.00" long and the entire length is also threaded. Includes washers. Enough for two water pumps. Common small block Chevy engines were designed with two styles of water pumps. Before you purchase a new pump, it's important to determine whether you have a short or long style pump. Check here for a few simple images to help identify your Chevy water pump.